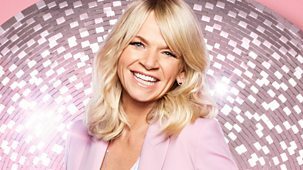 Zoe Ball presents the final one-hour Friday show live from the Strictly ballroom ahead of the grand final. 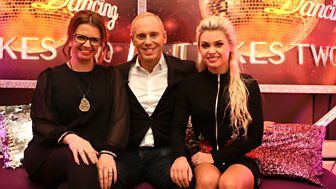 The finalists chat with Zoe ahead of the biggest dance of their lives. 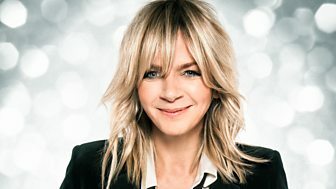 Zoe Ball presents a one-hour Friday show, packed with all the behind-the-scenes action. 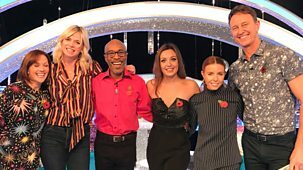 Celebrity superfans are in the studio to discuss all things ballroom. 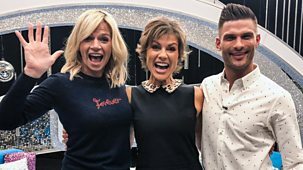 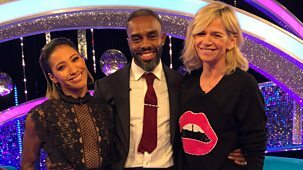 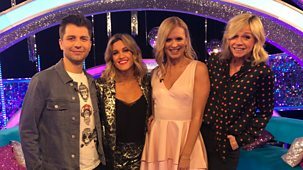 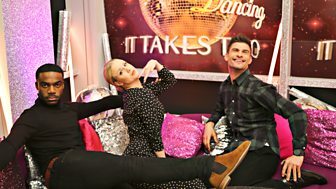 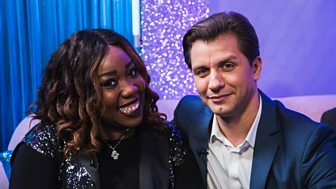 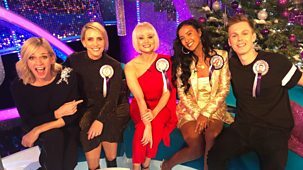 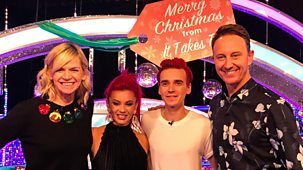 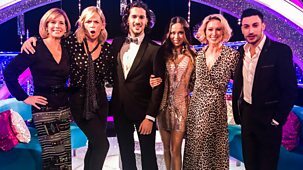 Zoe Ball chats to the lucky couple that survived the weekend's dance-off, and we take a closer look at the weekend's dances in Choreography Corner. 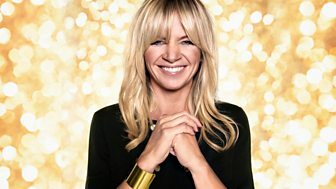 Zoe Ball has all the gossip and exclusive news from Strictly Come Dancing. 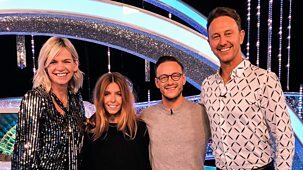 Plus, Ian Waite looks at how the couples are getting on in training. 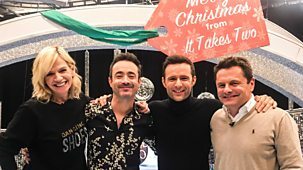 Zoe Ball presents backstage gossip and behind-the-scenes action from the weekend. 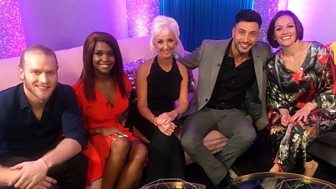 She chats exclusively to the latest eliminated couple.